Blepharoplasty is the broad medical term applied to operations designed to lift, remove, and reposition sagging and bulging tissues around the eyes. The earliest signs of a fatigued, aged appearance occur in the eyelid area. Bulging fat in the lower eyelids (“bags”) commonly occurs in certain families at very early ages (late teens to mid-twenties). The eyes are surrounded by a protective layer of fatty tissue encased in a membrane that holds it tightly in place. Over time, the membrane can weaken, allowing the fatty tissue to slip downward. The protruding fatty tissue produces puffy bulges, that are impossible to hide with cosmetics, and stretches skin and muscle. Eventually, a fold of skin may develop as the excess skin bulges outward and hangs over the lid. In some people, the overhanging skin actually rests on the eyelashes, causing an uncomfortable sensation and making it difficult to look upward. Women find it difficult to apply eye makeup. If the problem is severe enough, you may even find your vision obscured by the drooping upper lids. In this case, your insurance plan may cover a portion of the cost of treatment. Correction of these aging eyelid problems provides one of the most dramatic improvements possible with aesthetic facial surgery. If your eyes make you seem droopy, sad, or tired, blepharoplasty can open them up dramatically and give you a fresher, brighter, more youthful appearance. 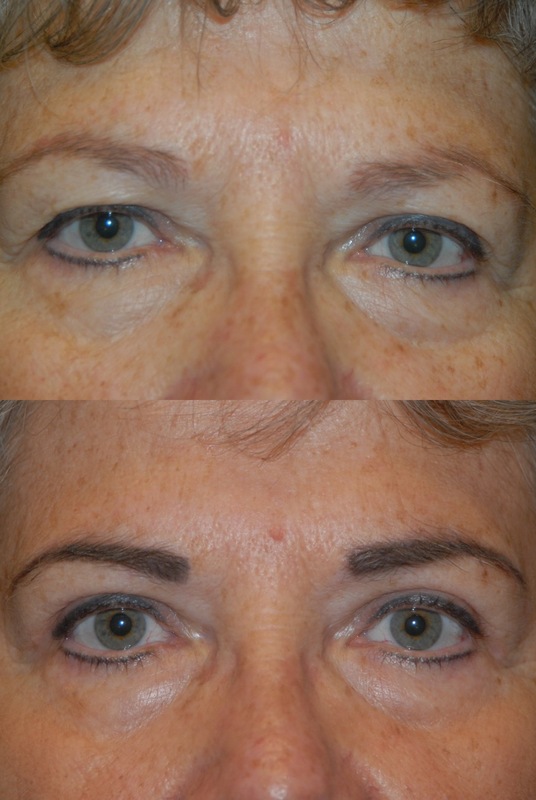 Blepharoplasty is one of the most permanent and dramatic of the operations designed to minimize the aging process. It is a relatively simple procedure that removes excess skin, muscle, and fatty tissue. Although blepharoplasty is often performed as an individual procedure at an early age, it is frequently combined with the facelift (rhytidoplasty) operation in middle-aged patients. Eyelid surgery usually is performed under intravenous sedation and local anesthesia, often in an ambulatory surgical center or an office surgery facility. If you have any discomfort after surgery, it can be controlled with mild pain medications. Eyelids heal remarkably quickly and scars usually are quite inconspicuous. 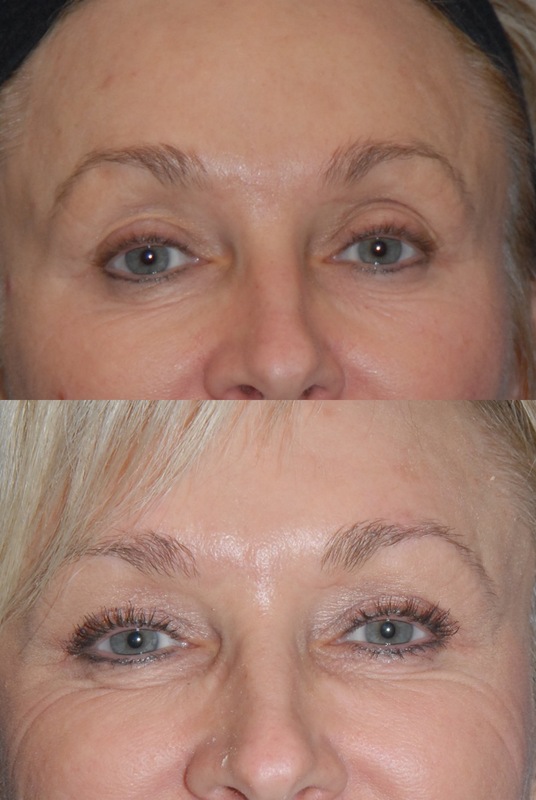 For more information about eyelid surgery please visit: blepharoplasty.